Today, 275 members of the U.S. House of Representatives voted in favor of H.R. 1599, the DARK (Deny Americans the Right to Know) Act. By voting for the DARK Act, these politicians (including all of Nevada’s GOP Representatives—Amodei, Hardy and Heck) voted AGAINST truth and transparency, AGAINST science, AGAINST your right to know, and AGAINST the more than century-old right of states to legislate on matters relating to food safety and labeling. 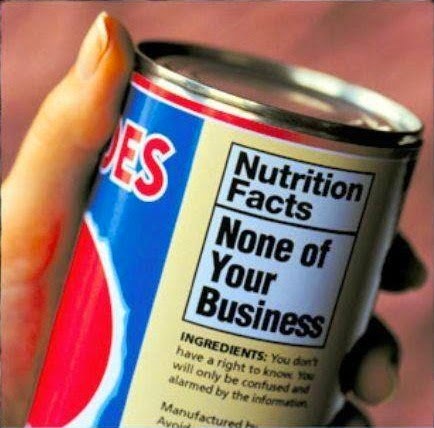 If this bill passes the Senate and is signed into law, it will nullify laws in states like Maine, Connecticut and Vermont where currently, GMO products are required to be labeled as such. They voted against the 90-percent of Americans who are in favor of mandatory labeling of GMOs. They voted against the producers of non-GMO foods. The voted against States’ Rights. They voted against you. H.R. 1599 was sold to Congress via multi-million dollar public relations and lobbying campaigns built on lies and deception. Rumored to have been written by Monsanto themselves, the bill’s sole purpose is to support one industry—Monsanto’s poison-peddling industry—that was founded on lies and deception from the get-go. Monsanto—that same corporation who sold Agent Orange to our government as “safe” to use on our nation’s soldiers. Government regulation should NOT be an iffy, maybe they will, maybe the won’t kind of thing. But, the DARK Act turns regulation upside down. It would create a VOLUNTARY, government-run non-GMO certification program. Unless every producer of non-GMO products pays to have those products certified as non-GMO, consumers will still have no way of knowing which products contain GMOs, and which don’t. And why should the burden of labeling fall on the producers of non-GMO foods, when the risk factor is associated with those foods that do contain GMOs? Did our Congress members vote against us because they were fooled by Monsanto’s slick, deceitful packaging of this so-called “Safe and Accurate Food Labeling Act”? Or did they simply vote with their wallets, stuffed full of biotech and junk food industry cash? We don’t know. Given the Citizens United ruling, we’ll probably never know. But we better know this: We can’t let this bill get through the U.S. Senate. We need to target Senator Heller and let him know this bill is unacceptable. Consumer Protection, Genetic-Modified Organisms, Genetically-Modified FoodsCitizens United, Congressional Activity, Connecticut, Dark Act, deceitful labeling\, Deny Americans the Right to Know, GMO Labeling, GMO-Genetically Modified Organisms, House and tagged Agent Orange, HR1599, Maine, Monsanto, non-GMO foods, Rep Cresent Hardy, Rep. Joe Heck, Rep. Mark Amodei, Rep. Mike Pompeo, Safe and Accurate Food Labeling Act of 2015, Science, State's Rights, Transparency, truth, Vermont, Voluntary certification.